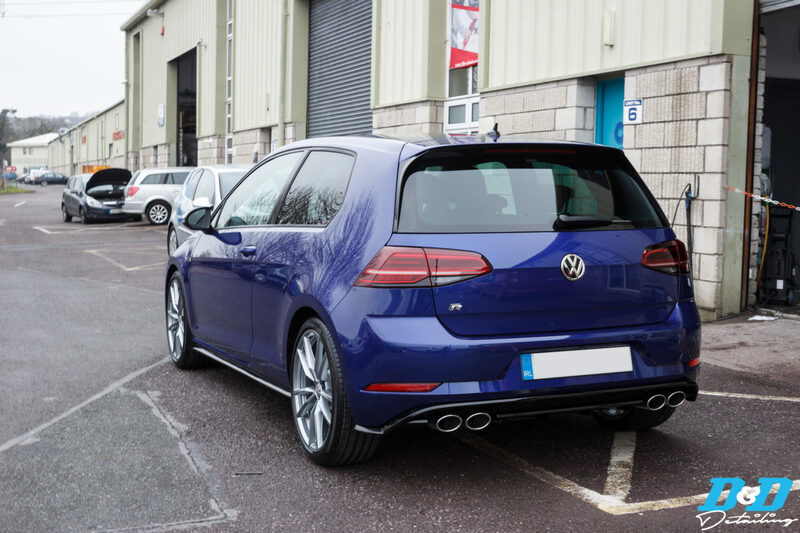 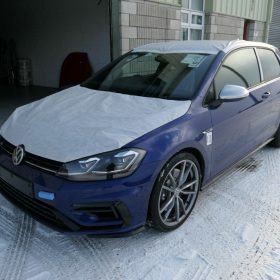 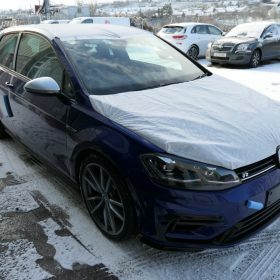 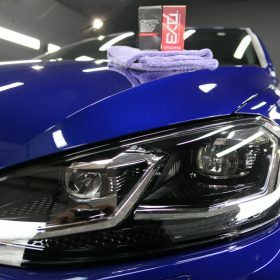 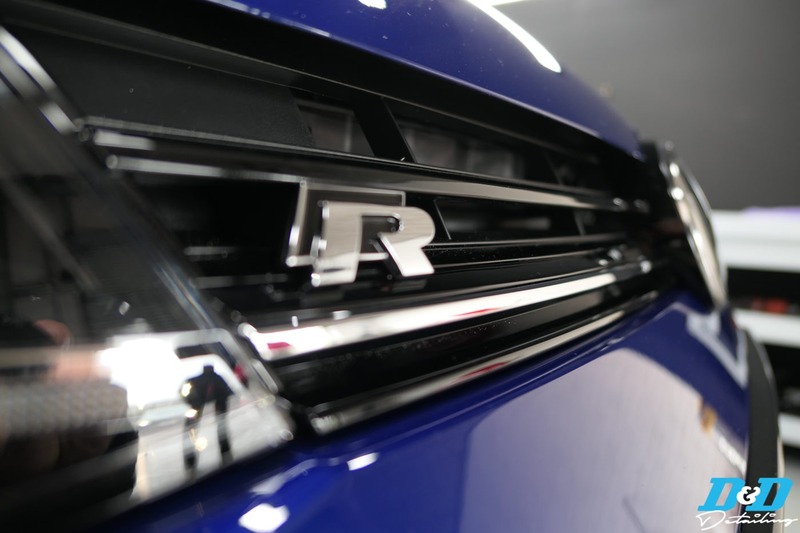 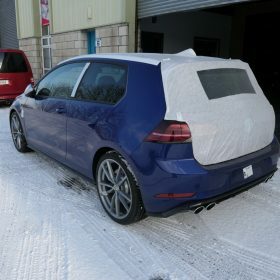 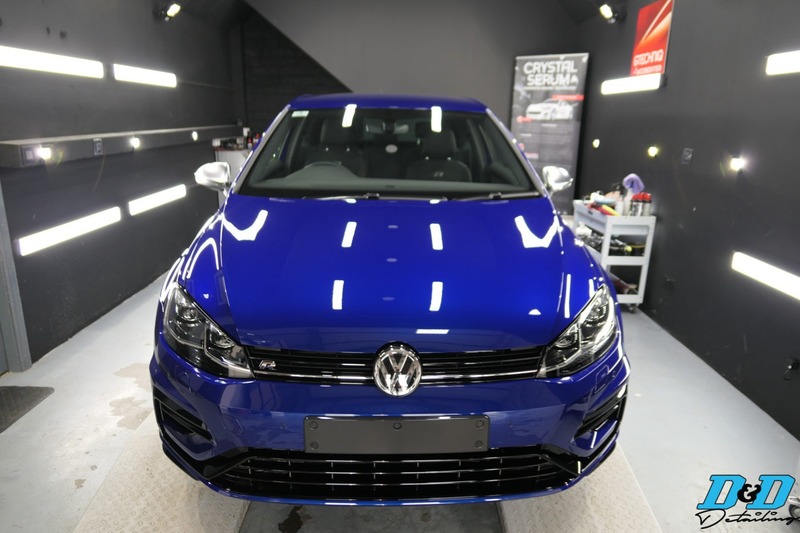 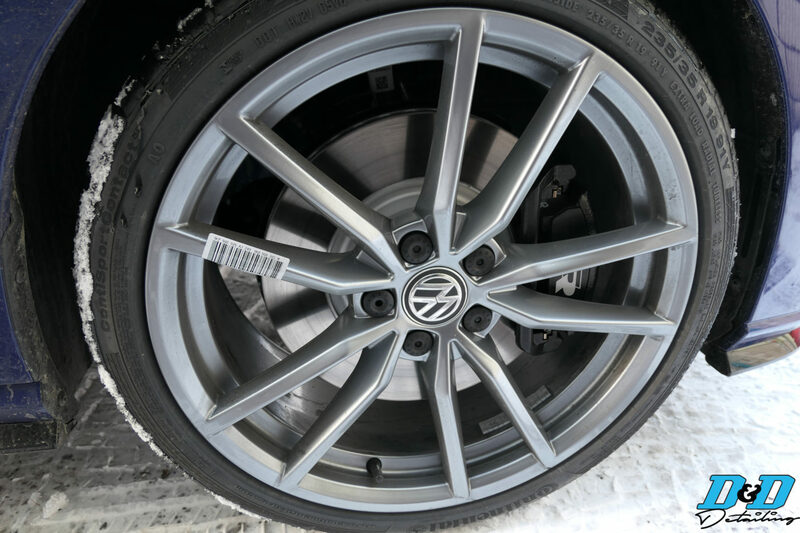 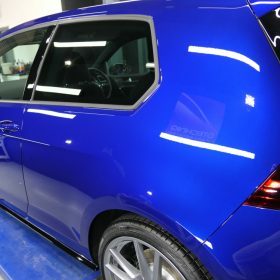 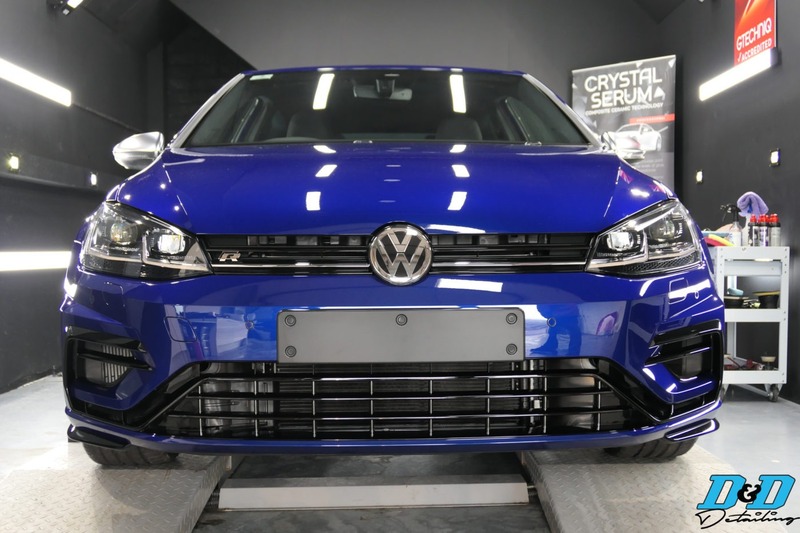 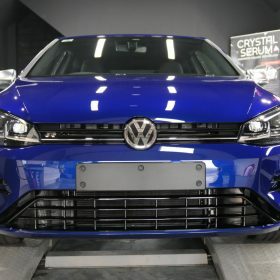 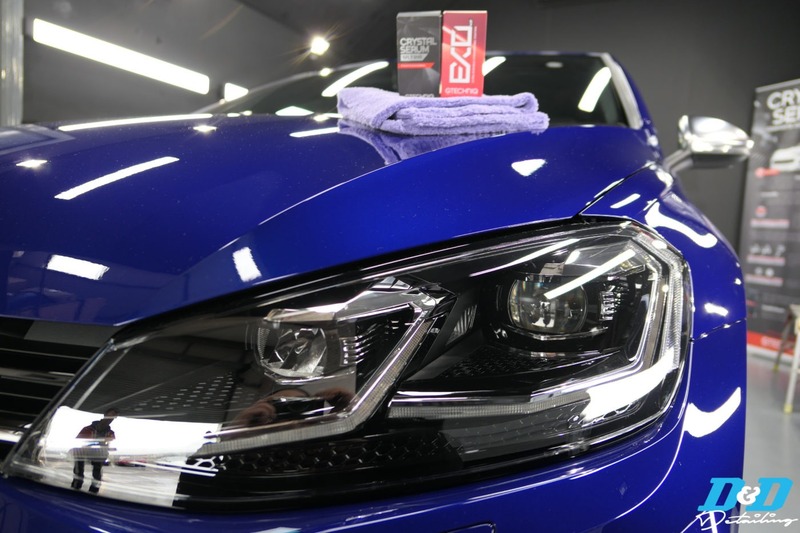 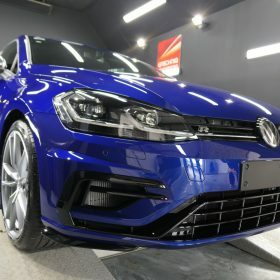 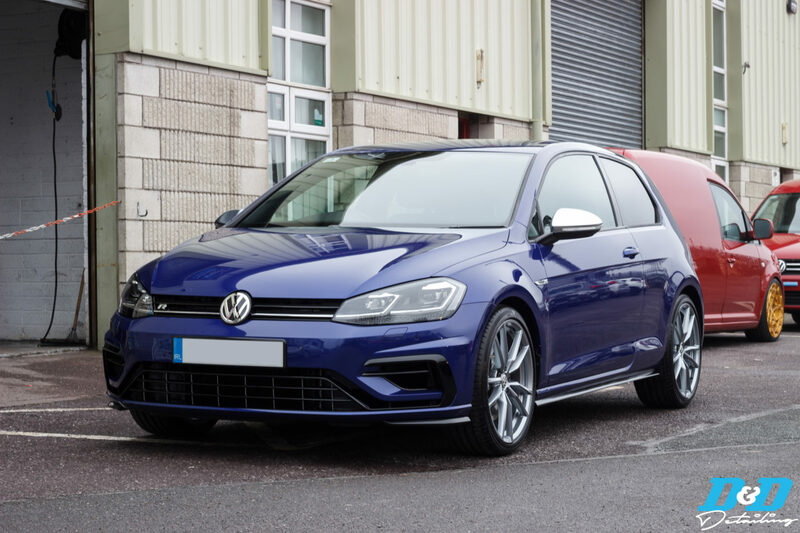 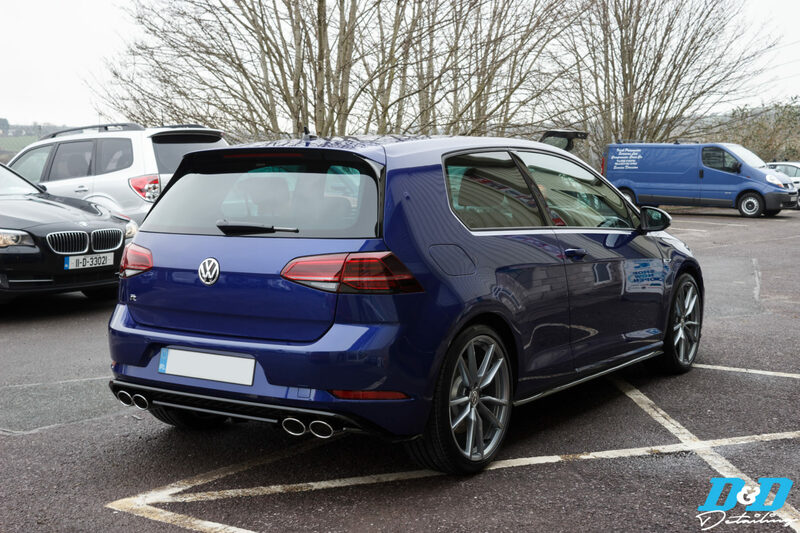 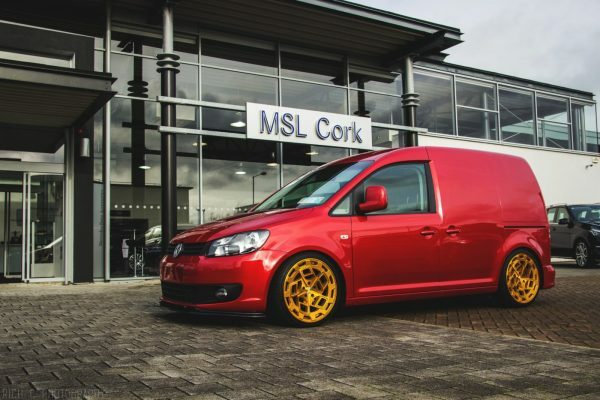 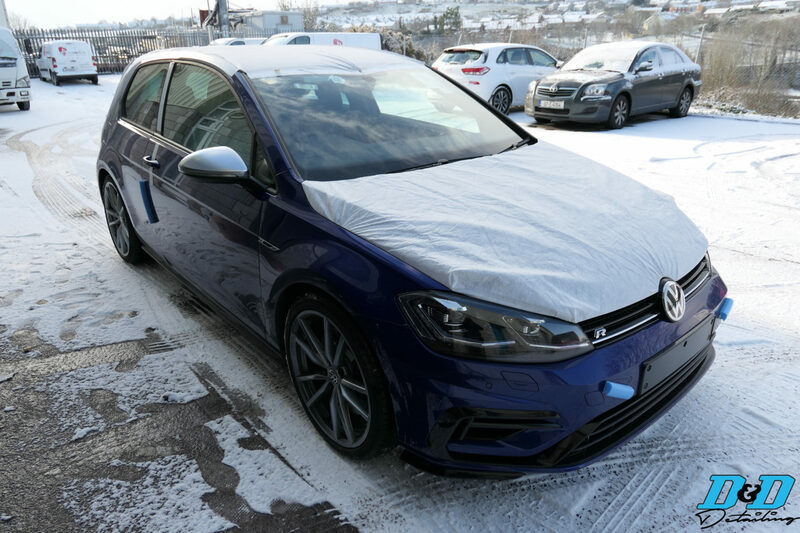 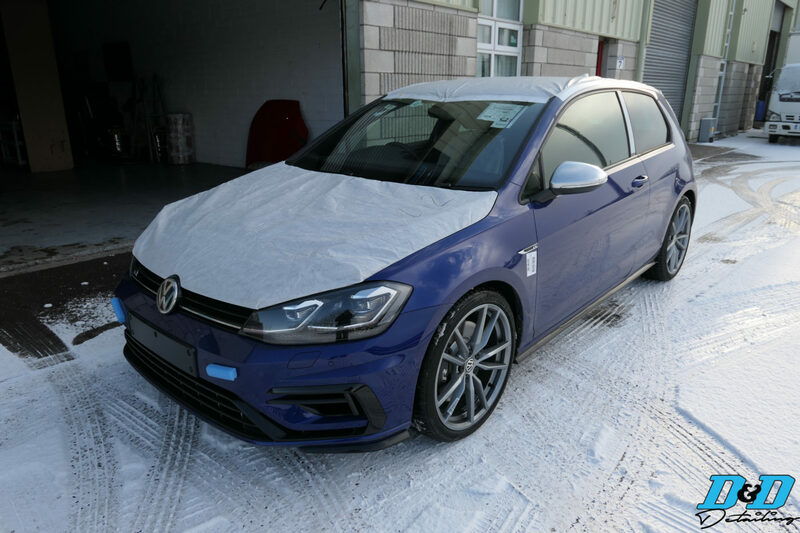 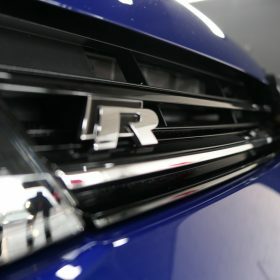 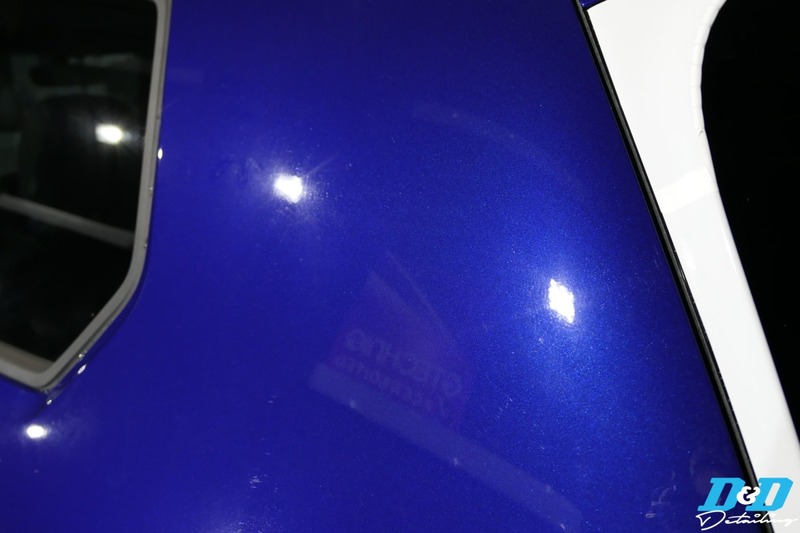 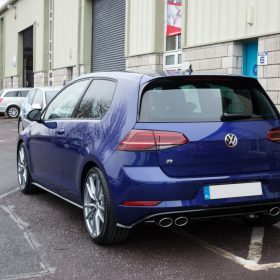 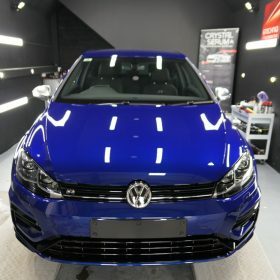 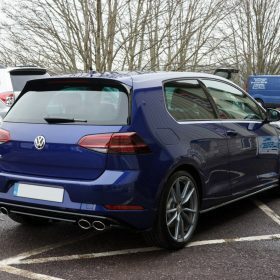 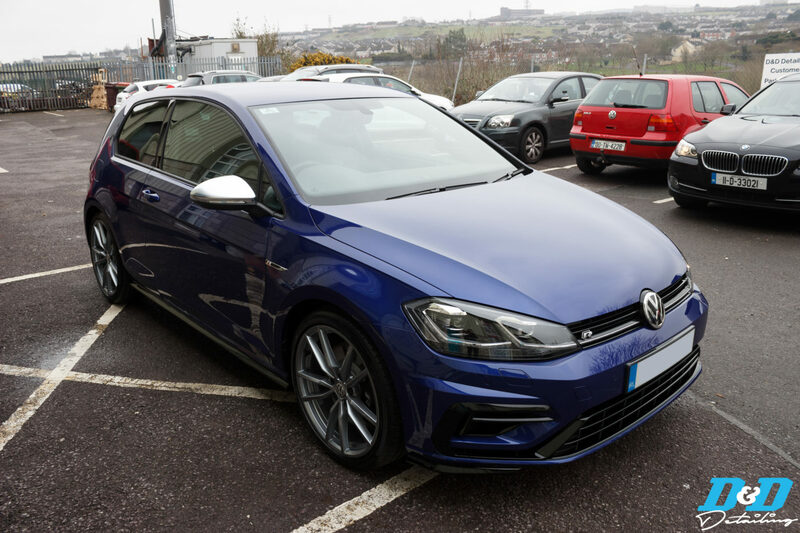 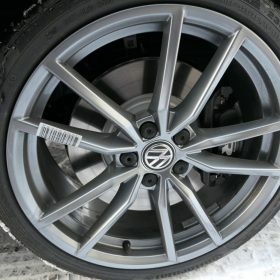 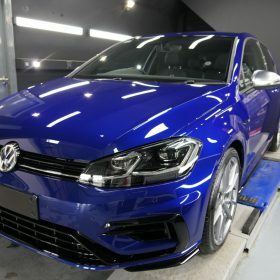 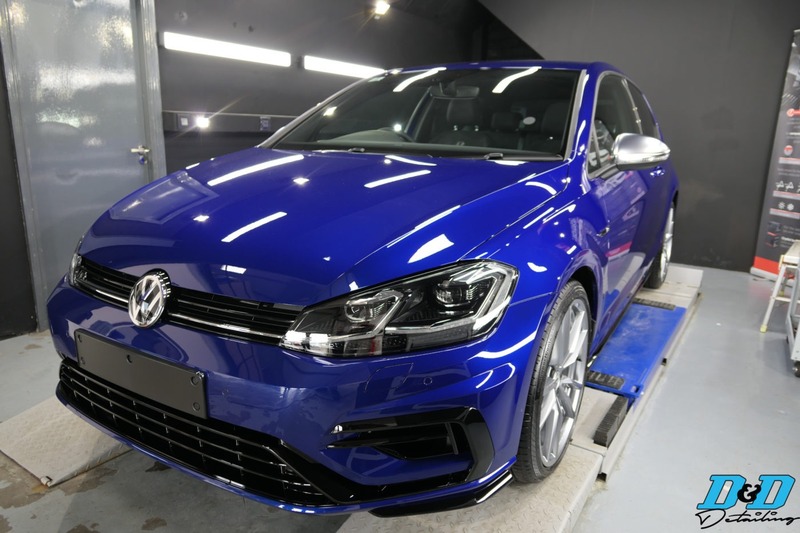 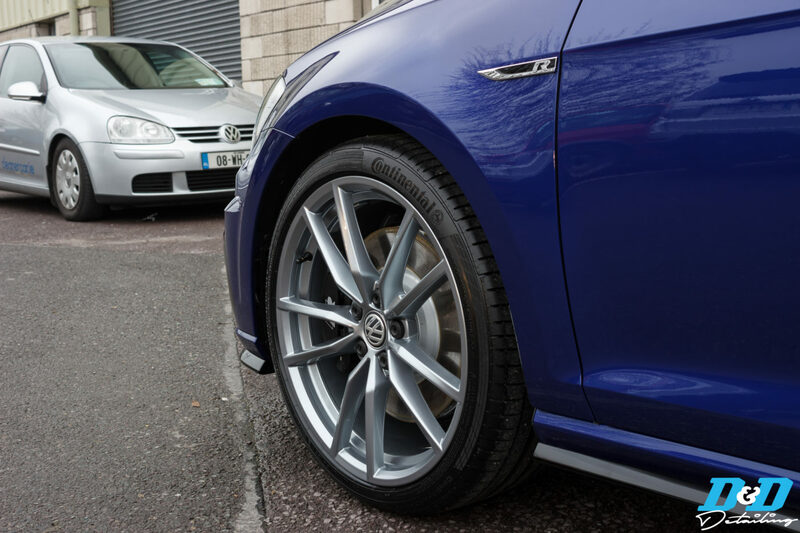 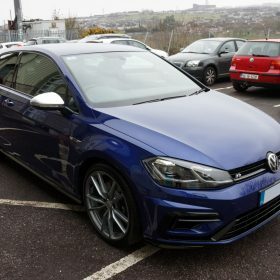 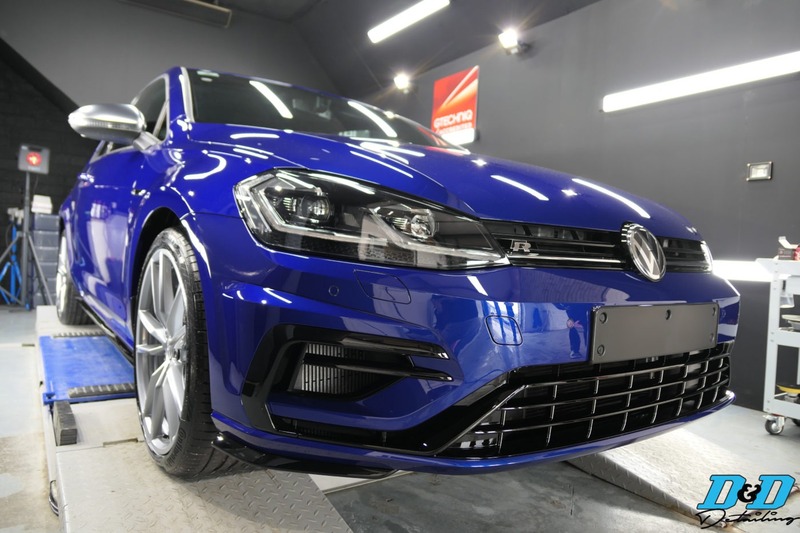 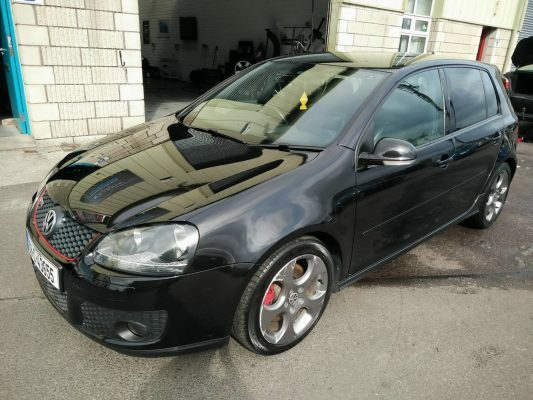 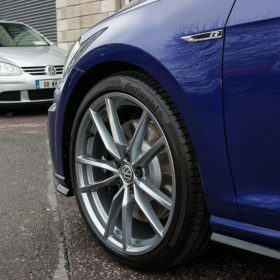 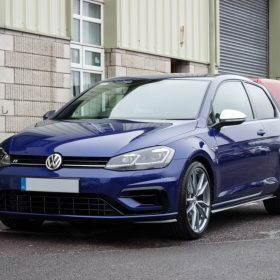 Back in March we had this brand new Volkswagen Golf R in the stunning Lapiz Blue in for our premium Gtechniq.ie Crystal Serum Ultra Black package along with C5 Wheel Armour on all surfaces of the wheels. 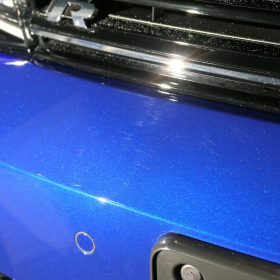 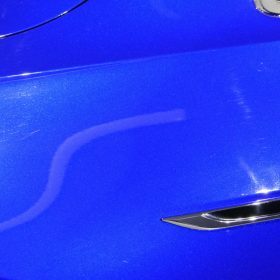 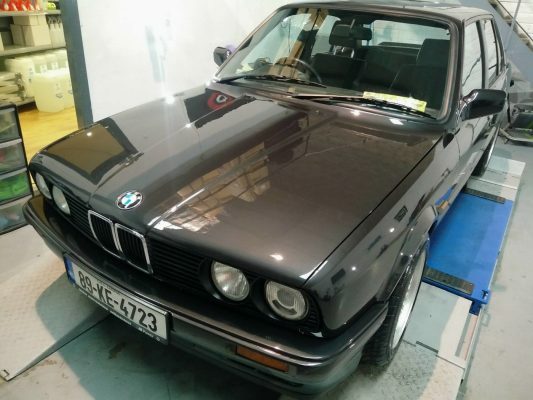 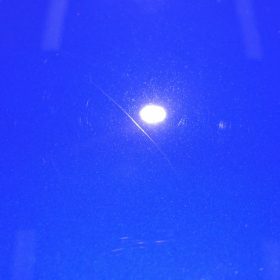 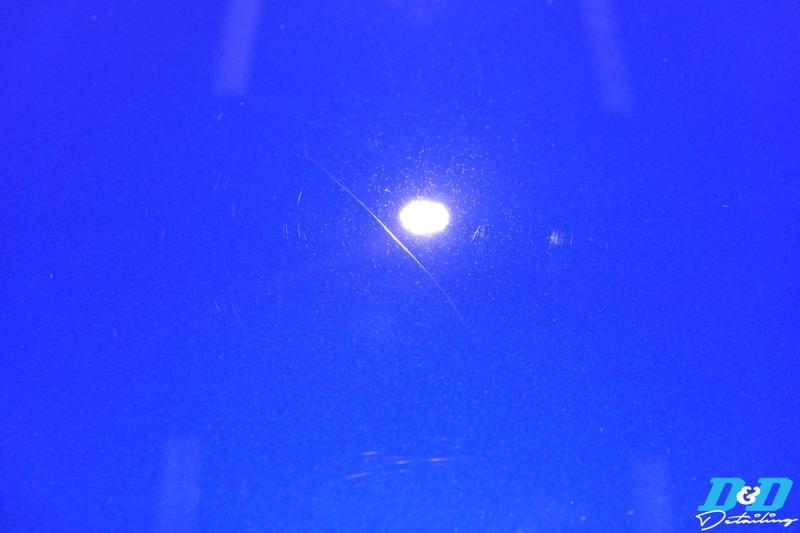 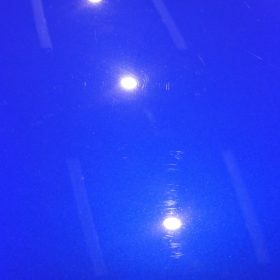 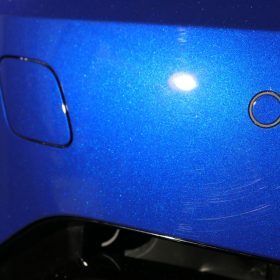 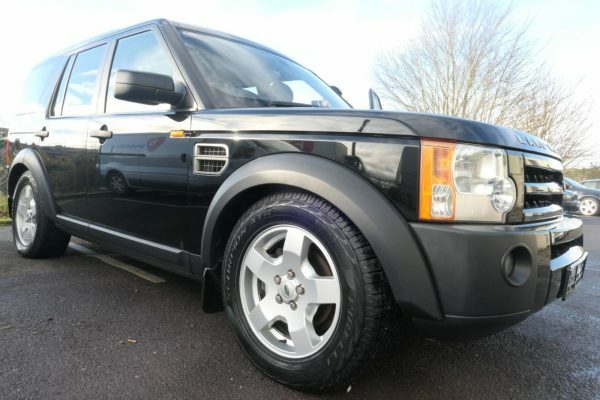 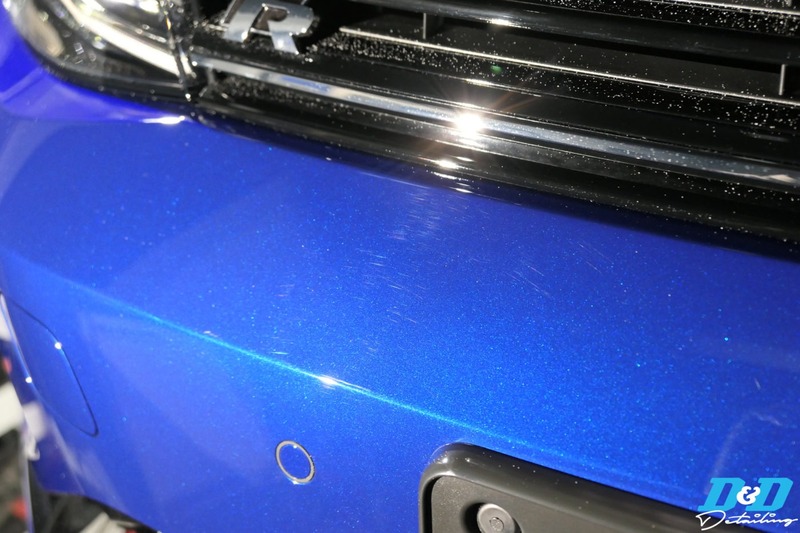 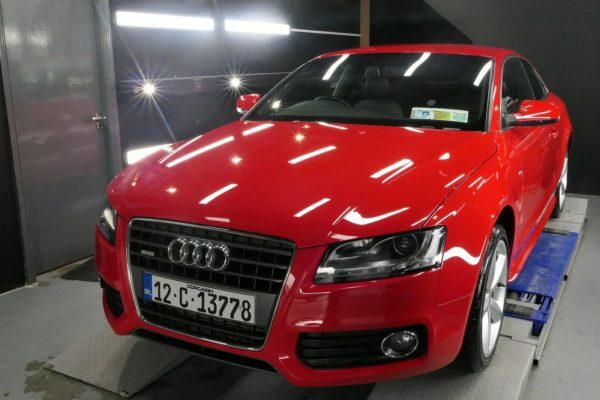 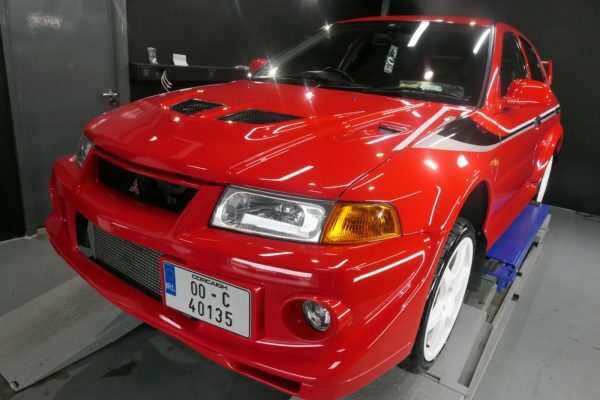 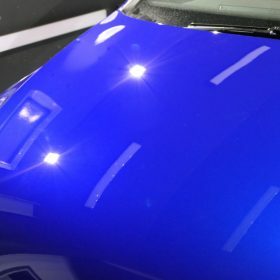 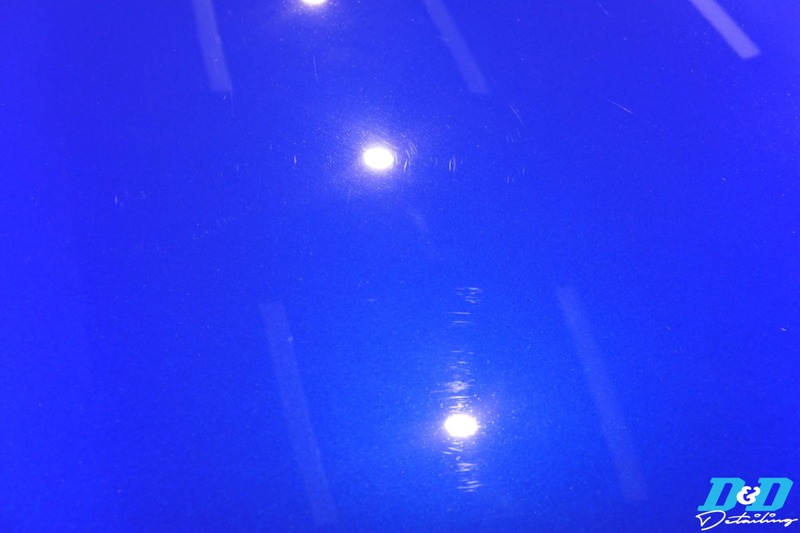 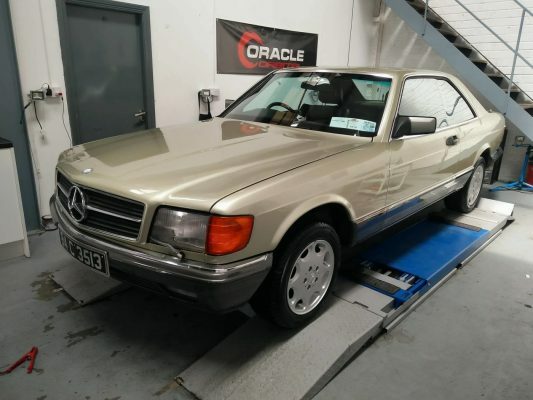 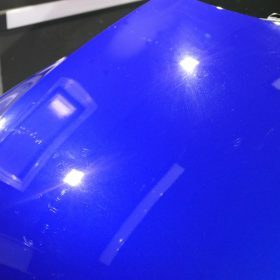 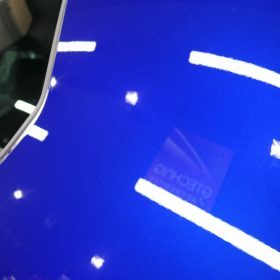 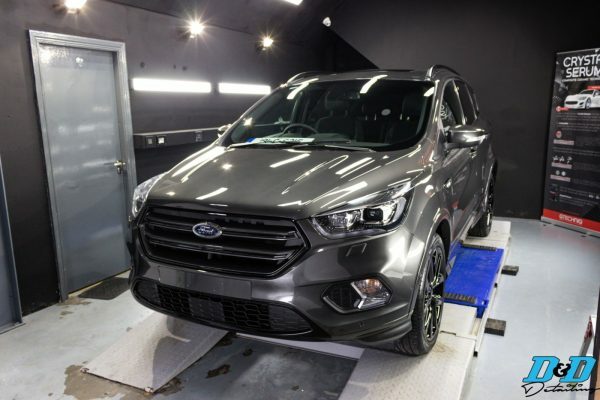 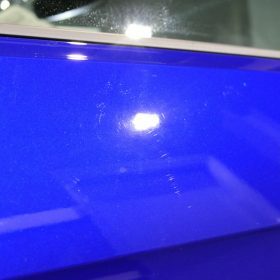 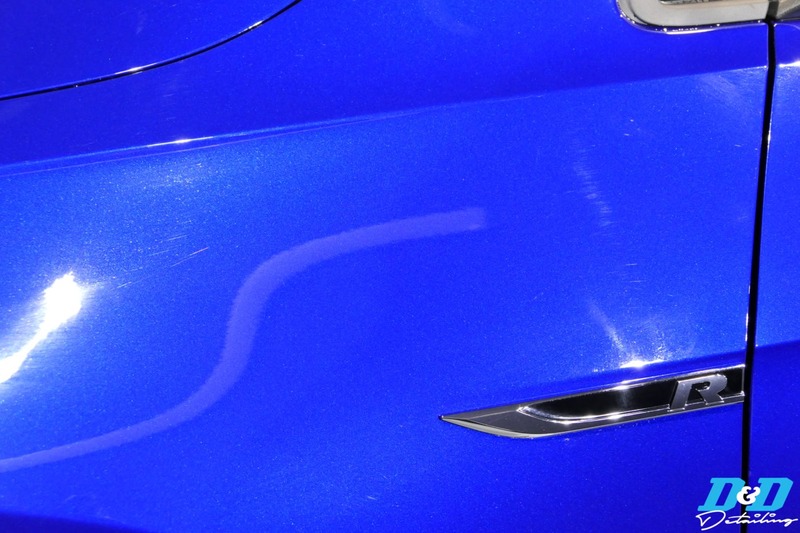 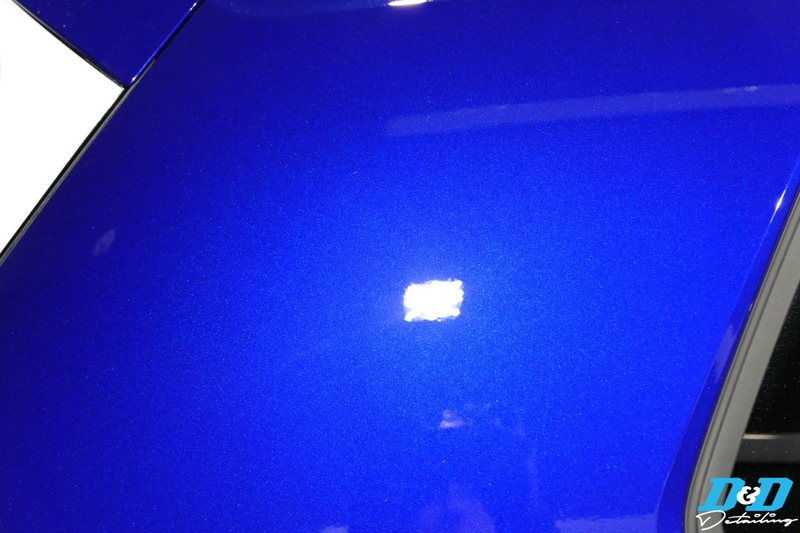 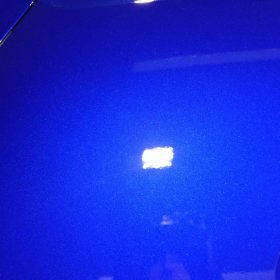 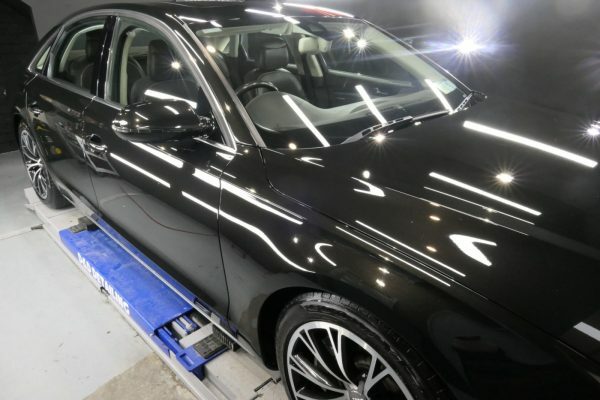 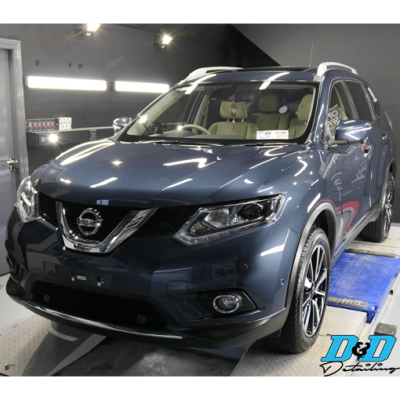 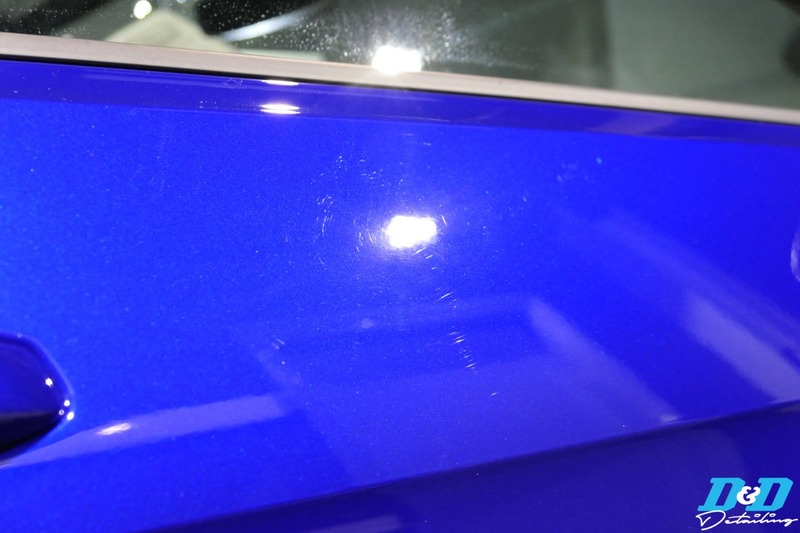 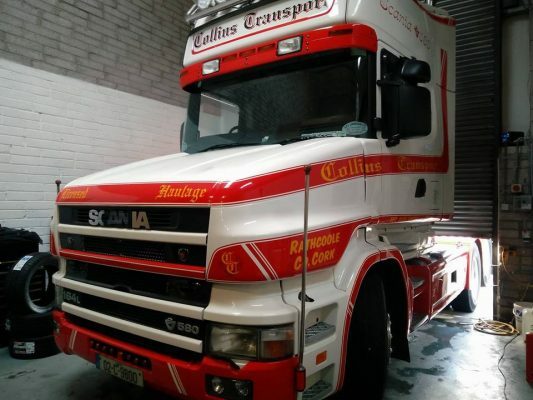 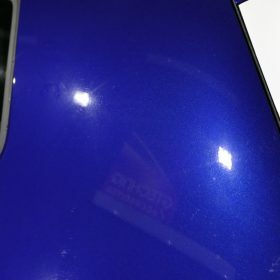 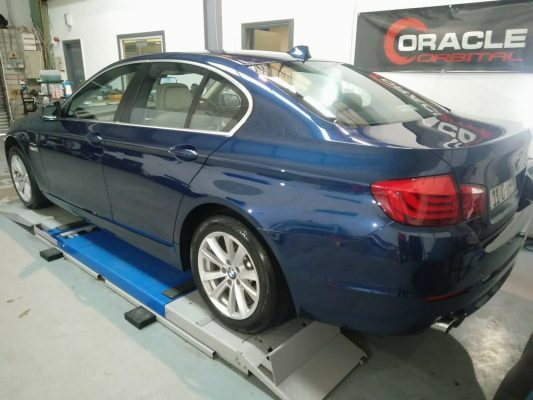 Even being a brand new car this required some heavy polishing to remove a good few swirl marks and deeper marks from the surface due to damage in transit. 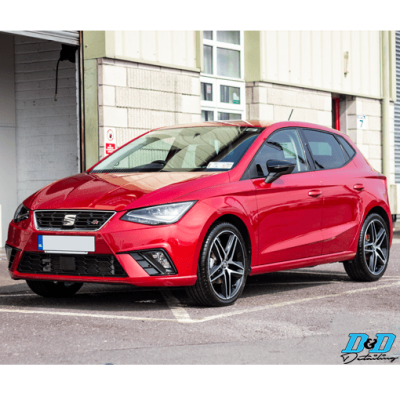 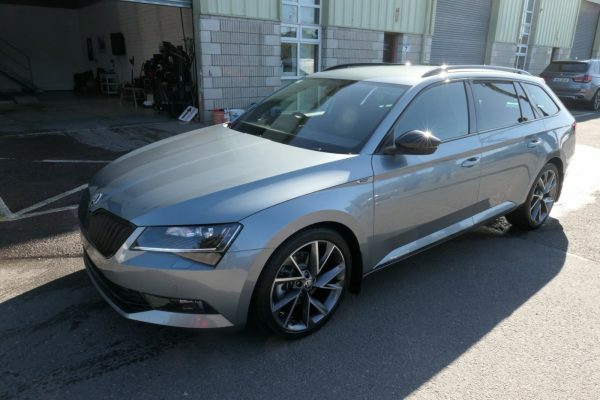 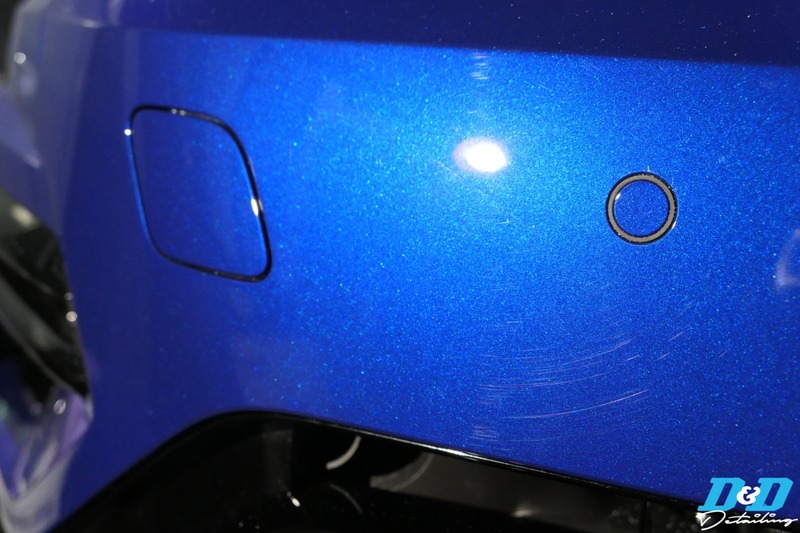 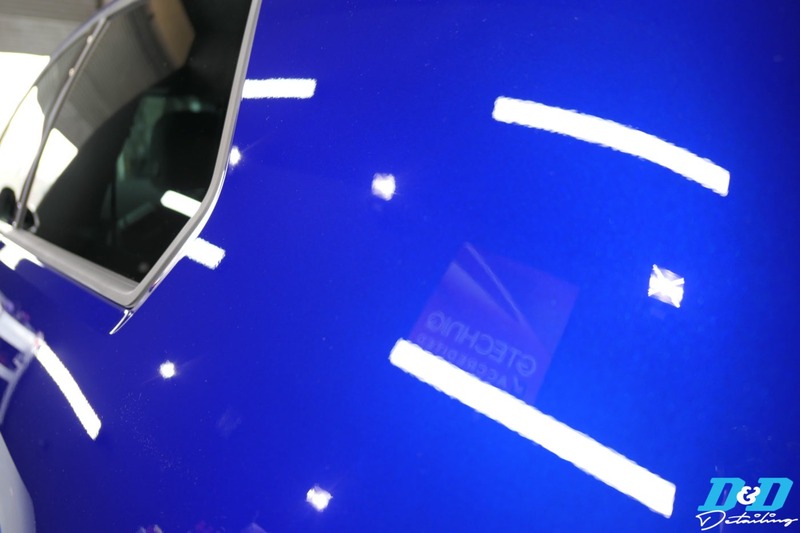 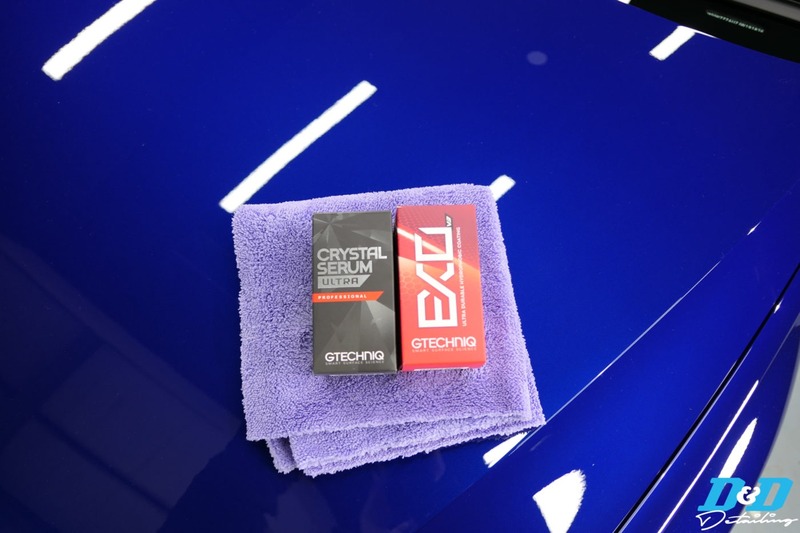 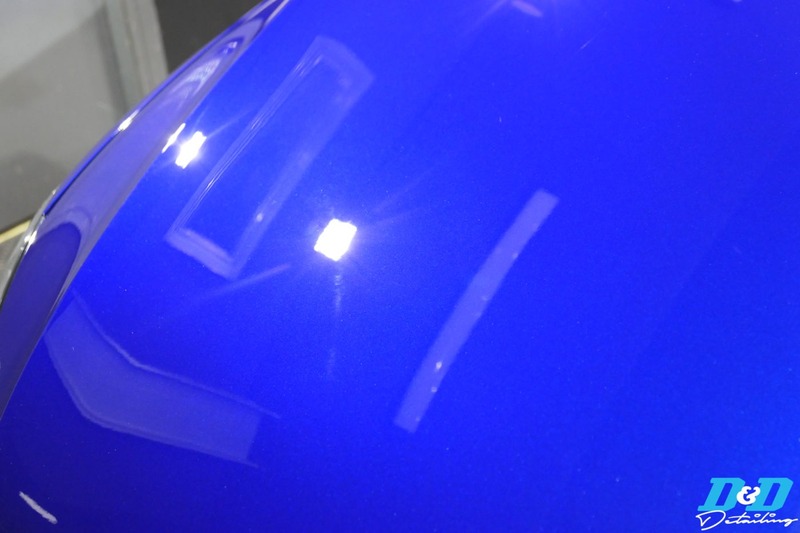 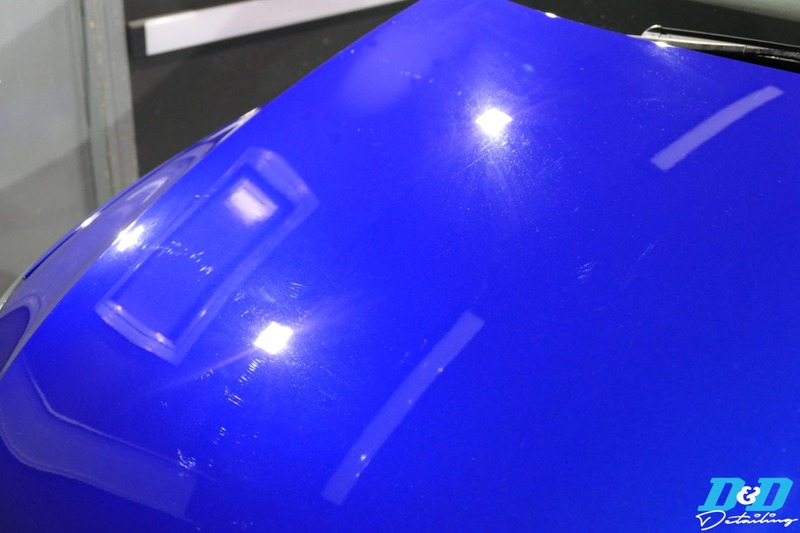 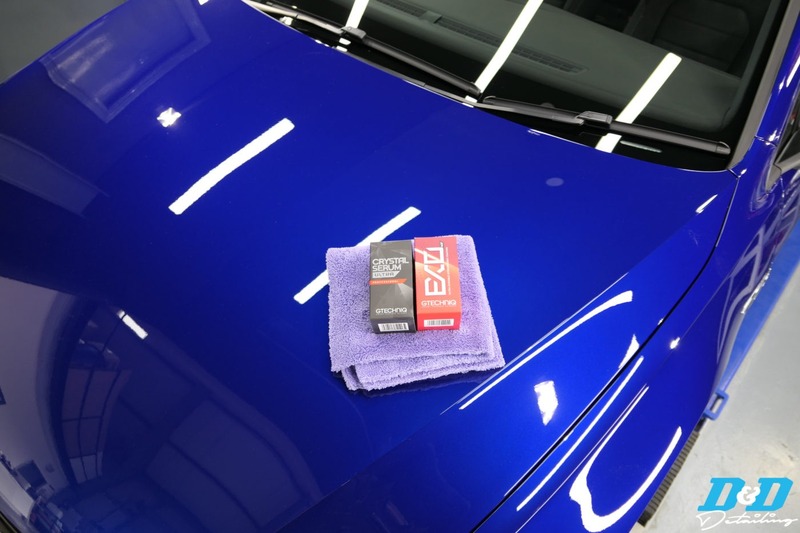 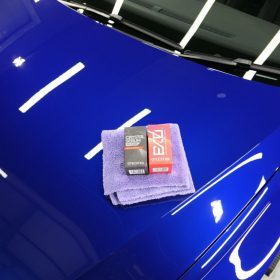 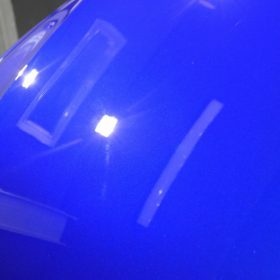 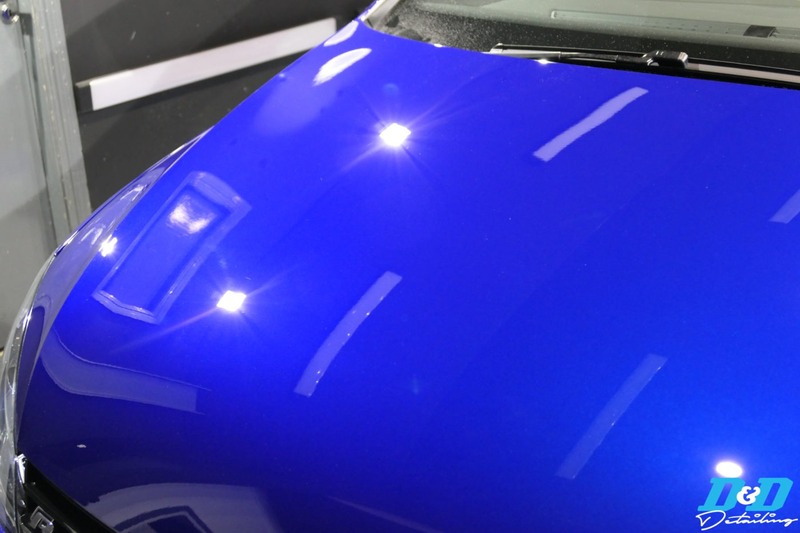 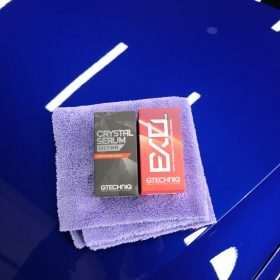 Polishing is needed when using Crystal Serum Ultra to ensure the coating has the perfect bond to the surface, making sure you have the ultimate 9 year guarantee. 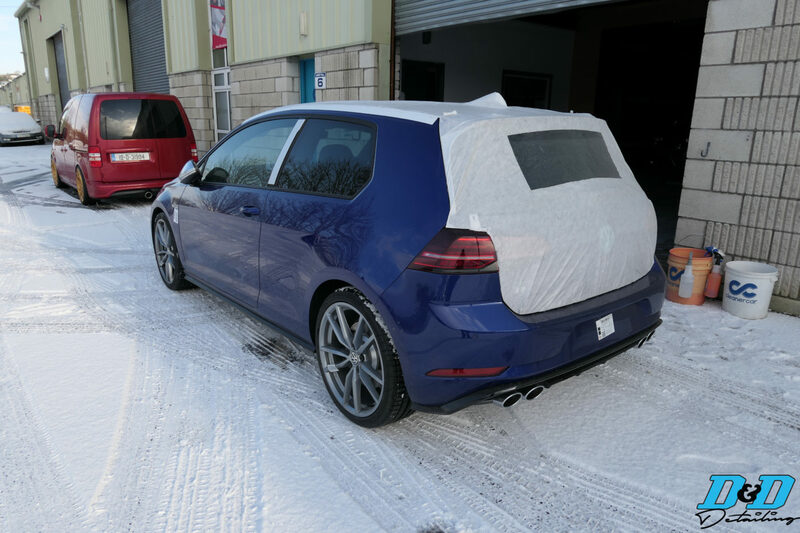 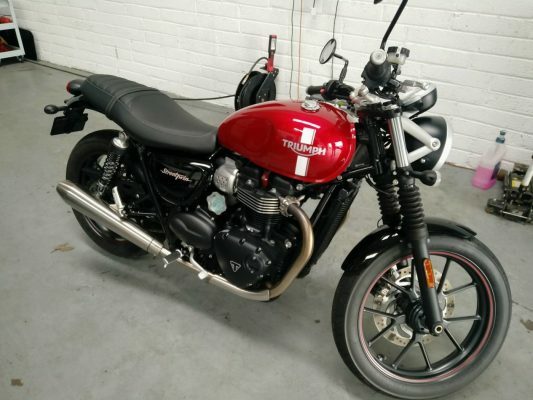 Even Storm Emma and the snow didn’t stop us from working on this.